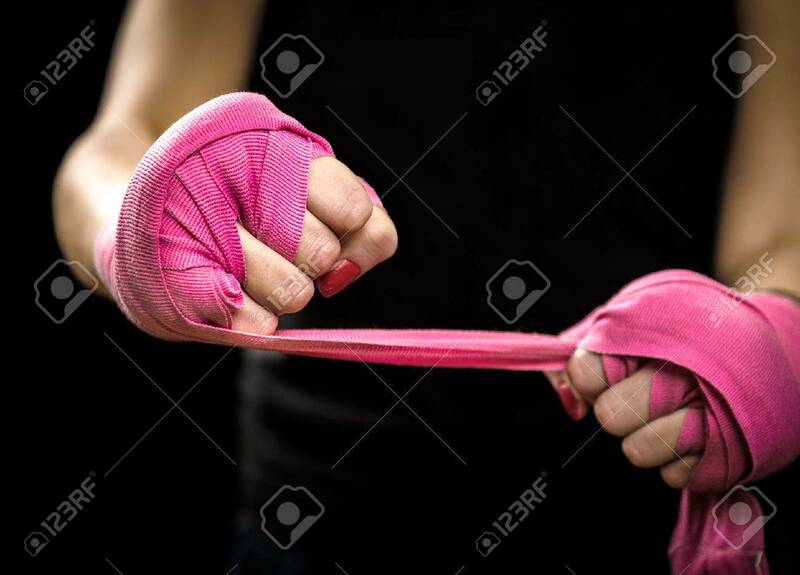 Woman Is Wrapping Hands With Pink Boxing Wraps. Isolated On Black.. Stock Photo, Picture And Royalty Free Image. Image 51071677.